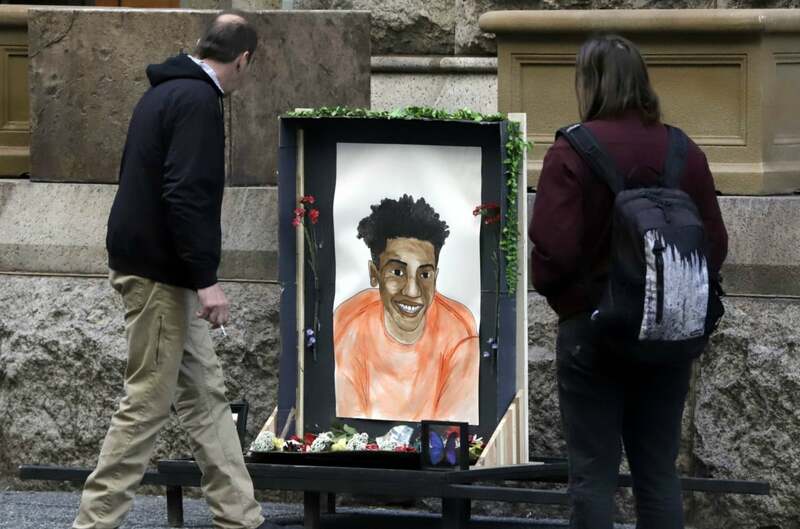 PITTSBURGH (AP) — Prosecutors will call more witnesses to the stand Thursday in the trial of a white former police officer charged with homicide for fatally shooting an unarmed black teenager. Former East Pittsburgh Police Officer Michael Rosfeld’s trial continues into a third day in a Pittsburgh courtroom. John Leach, who lives close to the site of the shooting, said Wednesday he was on his front porch when Rosfeld fired three bullets into 17-year-old Antwon Rose II after pulling over an unlicensed taxicab suspected to have been used in a drive-by shooting minutes earlier. Rose was a front-seat passenger in the cab and was shot as he fled. Leach said he saw other officers consoling Rosfeld as he was bent over hyperventilating. Rosfeld’s attorney said the officer was justified in the shooting and did nothing wrong. Police have said Rosfeld changed his story about whether he saw or believed a gun was in Rose’s hands. Authorities said two guns were found in the car, one with Rose’s DNA on it, but it doesn’t appear to have been fired. An empty magazine was found in Rose’s pocket. Allegheny County Housing Authority officer Charles Rozzo, who responded to the shooting, testified that a distraught Rosfeld asked him if he “saw the gun.” It’s unclear what Rosfeld was referring to. The video of the shooting, recorded by a neighbor, was posted online, triggering protests in the Pittsburgh area last year. A jury of six men and six women was selected and will be sequestered in a hotel for the duration of the trial, expected to take a week or more. Additional video, where you can see another police car approaching and the sound of gunshots, was shown in court, taken by a college student who was in his car at a stop sign nearby. Rose’s mother sent a letter to prosecutors urging them to counter the defense’s portrayal of her son as “just another thug.” She describes how he taught other children in the neighborhood how to Rollerblade and skateboard.